Sometimes our suppliers send us pictures of our products in development. It's always very exciting seeing what was a sketch or mock-up actually turned into something real! 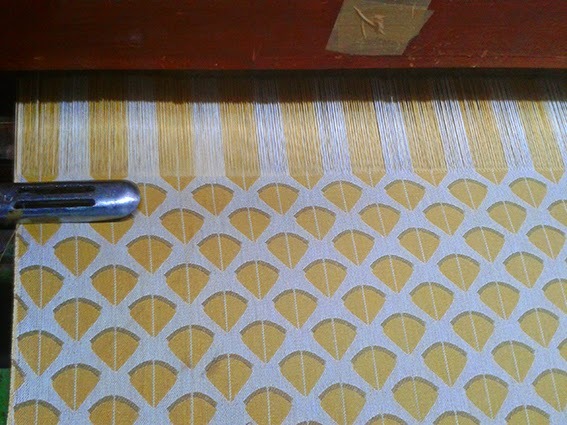 Here's our woven Fans Cushion Cover on the loom.